You are living that wonderful life you dreamed of in Spain. 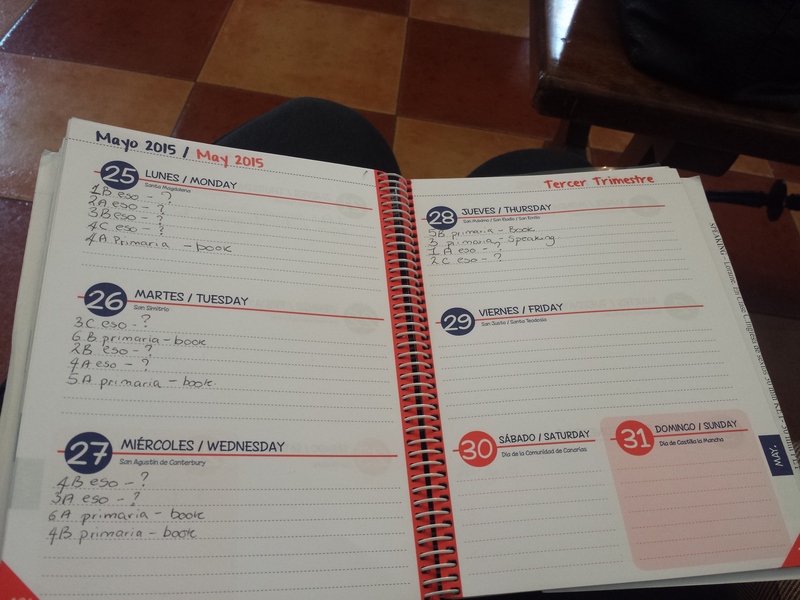 However, people failed to mention how much time lesson planning can take from your free time. Some auxiliares are lucky and don’t have to plan anything. I am not one of the lucky ones, but along the way I have found some great lesson plans and useful websites that take almost no time from your free time. First up is jeopardy. My eso students, regardless of age, love it. They love having competitions to see who is the best. I have played it a few times throughout the year. I have used the website called super teacher tools. 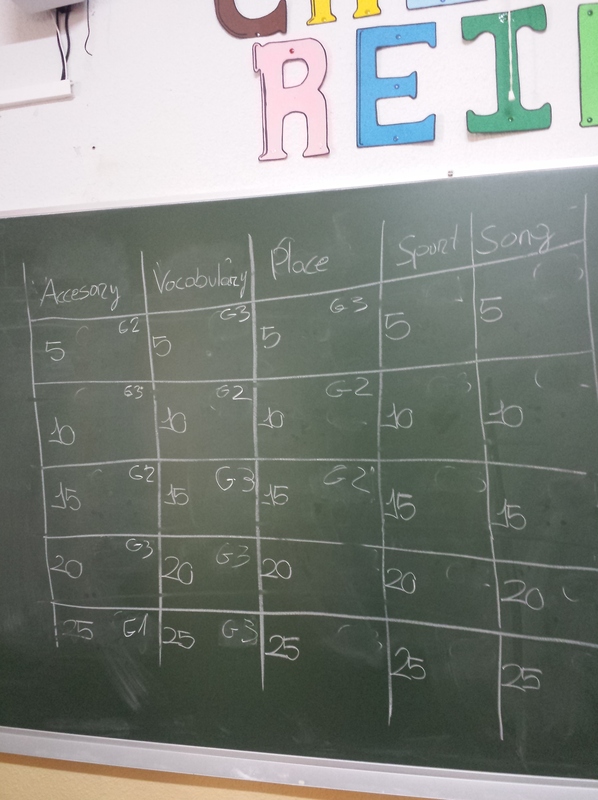 Week 1: Play a game of jeopardy so the students learn the rules. Week 2: In groups get them to create their own jeopardy. You can choose the topics for them or let them decide themselves. Week 3, 4 and 5: Play their jeopardy games. Depending on your class size and how fast they are this can take 2 – 3 weeks. And voilà there is a whole month taken care of with very little planning! Taxi dialogue: One student is the taxi driver and the other one or two are the passengers who have just arrived from an English-speaking country. Leave them to it and see all the hilarious ideas that they come up with. A pop star, two fans and a police officer: I just prompted my students with that and let them use their imagination to create the situation. Something that also worked well for me is getting them to create their own news show. They worked in groups of 4 or 5 and they each wrote a segment. For example, the anchor, the weather, sports and celebrity news. Then as a group they presented their news to the class. They really enjoyed it and they used props . You can get them to create their own TV show too or make their own episode of a TV. It takes at least two weeks maybe 3 depending on their level and how fast they work. Week 1: write their script for their TV show/ news show. Week 2: practice their script and present it to the class. Week 3: If not everyone presented their scripts in week 2 it could carry over in to another week. Lyrics training is a great website where the students have to fill the missing lyrics while the video is playing. It will not play the next part of the song until they have filled in the correct words. This is a great filler for when you just don’t know what to do. Pictionary/charades is another great time filler. I have used name generators like word generator and game gal. Film English is a great website that has full lesson plans based on short films. All the planning is done for you! I hope that this post has been helpful for you and if you have anything to add, comment below.